Welcome to Carmichael Throne Company. 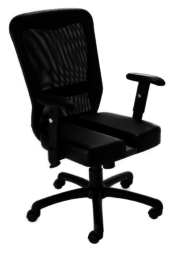 Our mission is to make sitting a more comfortable and pain free experience. 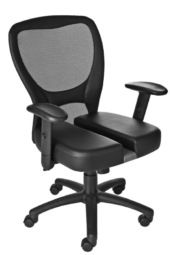 Since 2011, our company has been selling a patented unique office chair for back pain that allows the tailbone to “Float”. 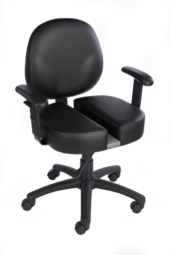 Our office chairs’ ergonomic design reduces pressure on the spinal discs helping to alleviate and prevent lower back pain, tailbone aches, pelvic discomfort, sciatica nerve pain and other types of physical discomfort. 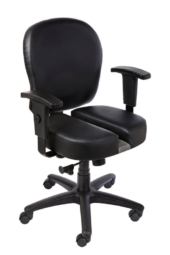 The flat seat design of our ergonomic office chairs also helps to reduces stress to the hip joints, providing you with additional comfort and pain relief. Does Pain Free sitting interest you? If so, then you’ve come to the right place. 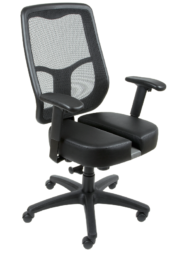 Our office chairs for lower back pain relief can eliminate as well as help prevent sitting related pain now and in the future. 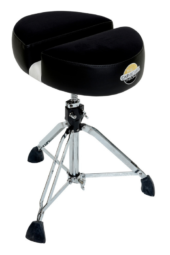 Carmichael’s Patented Seat Technology Can Have You Experiencing Relief Immediately. 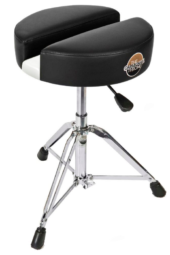 Carmichael Throne Seats address the root cause of your back pain problem. We (our human bodies) are designed for movement. The problem is that many careers mandate that a prolonged portion of our time is spent sitting. The constant compression of the spine can promote numerous negative impacts, physical problems, and bodily pain. 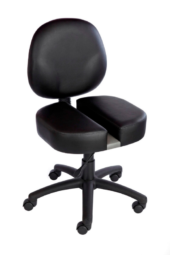 Our “Free Floating Spine” office chair for back pain helps to solve this problem by reducing spinal disk compression with its ergonomic and comfortable design. Multiple Benefits and Affordable Prices! Do you suffer from Tailbone pain, Coccyx Pain, Lower Back Pain, Prostate Pain, Perineal pain, Pelvic Pain, Hip Joint Pain and Nerve Sciatic Pain? 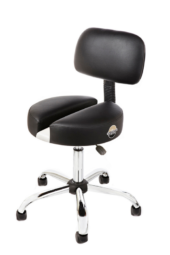 View our selection of ergonomic and comfortable stools and office chairs for back pain and start sitting with more comfort, energy and style. Order today.